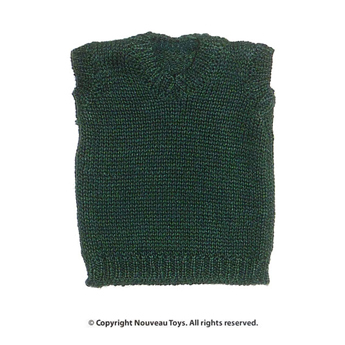 This 1/6 size dark green color school girl sweater is a perfect companion to go with our Nouveau Toys' school girl uniform set. It is also great to be used with your individual customization figure projects. Designed to fit on most of 1/6 scale female figures in general.